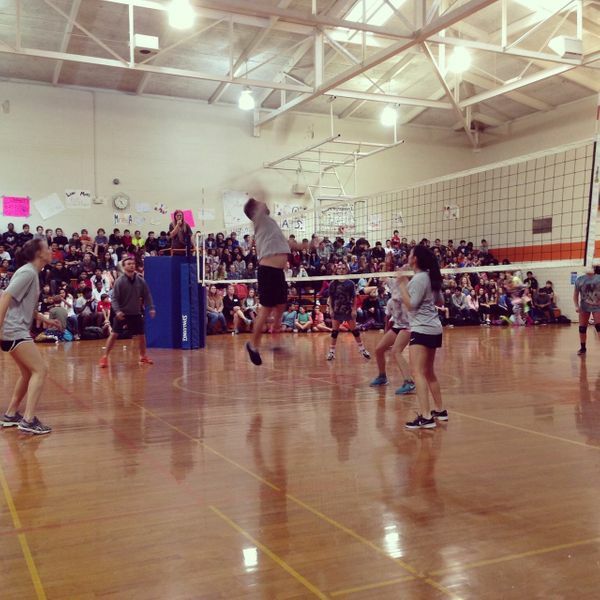 We started the Thanksgiving break with a bang: faculty versus the 8th grade girls volleyball team. They took the first game from us but we managed to be leading by one point when time ran out on the second game, so I'm calling it a tie! I hope all my students and teachers have a nice, relaxing, enjoyable break. It's well deserved. I'll see you Monday, December 1st.